There was a lot of important information on the U.S. economy released this week, but the biggest data point is without a doubt the latest monthly job report from the Bureau of Labor Statistics (BLS) out this morning. Indeed, total nonfarm employment in America rose by 223K payrolls in May, a larger increase than expected, the biggest monthly gain since February, and there was a net upward revision of 15K jobs to the prior two reports. As a result, payroll growth has averaged +179K during the past three months, slightly below the 2017 average (+181K) but still comfortably above Federal Reserve officials’ estimates for what is needed to keep up with population gains. This was also the 92nd consecutive month of job growth in America, one of the longest such streaks in U.S. history. 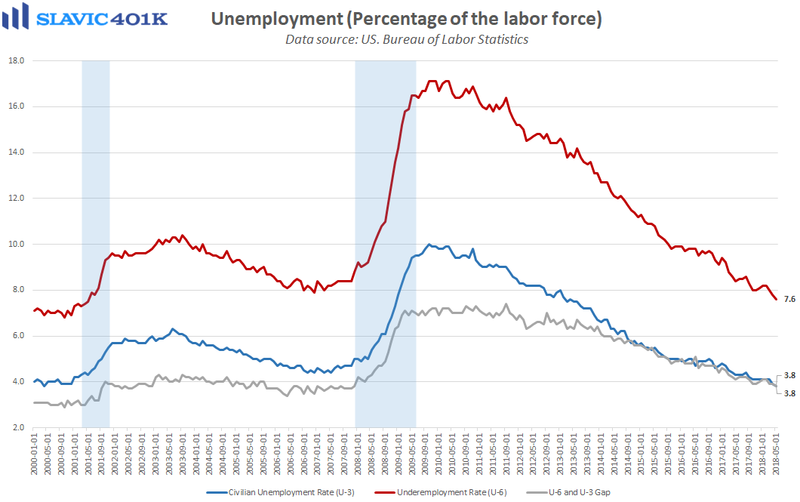 As for joblessness, the official unemployment rate (U-3) slid to 3.8 percent in May, and the underemployment rate (U-6) fell to 7.6 percent, both of which are at the best levels in almost two decades. 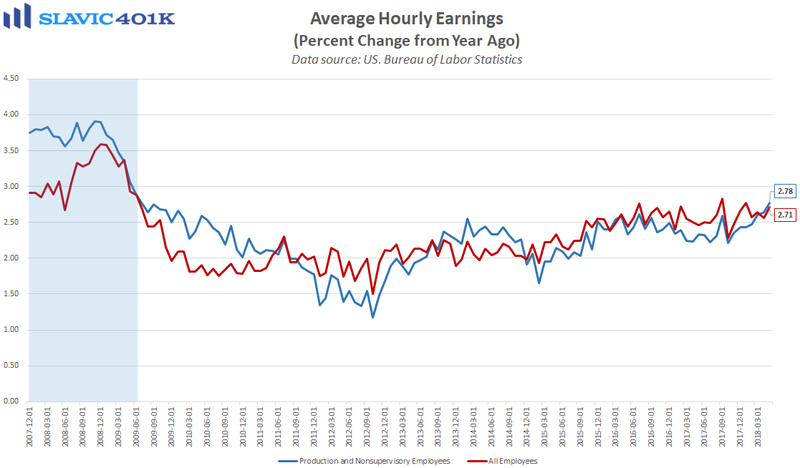 With respect to wage growth, average hourly earnings rose by 0.3 percent last month, better than anticipated and enough to lift the year-over-year pace of growth to 2.7 percent. Altogether this was another solid payrolls report that suggests recent trade-war talk and labor supply constraints have yet to provide any significant drag on job creation in America. 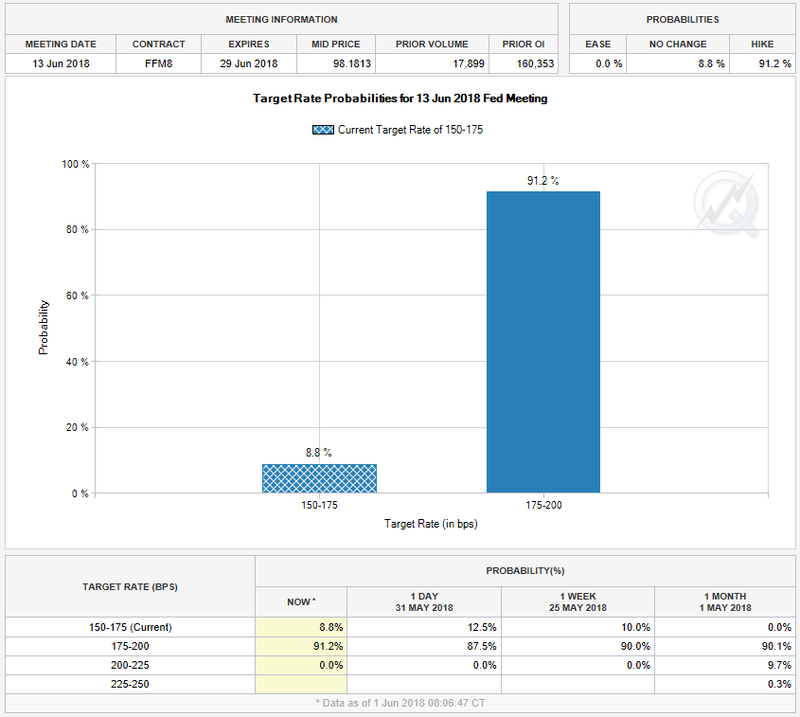 Further, today’s employment data will help Federal Reserve officials justify additional interest rate increases this year, and current market pricing implies a 91.2 percent chance of the next hike occurring later this month.